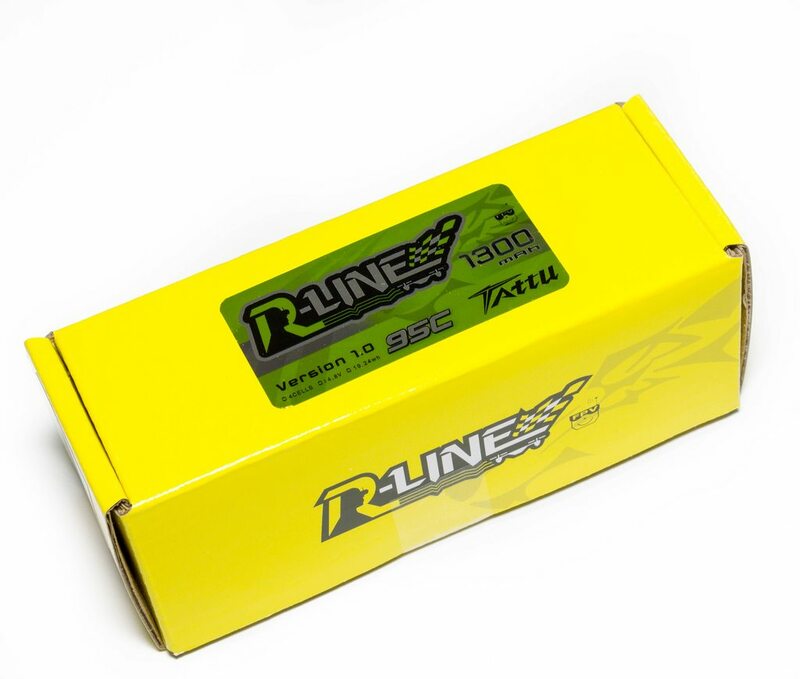 So I got contacted a month or so ago by Gens Ace themselves and was offered to test some of their new R-Line packs not currently available. I'd already known about them - they were debuted as "Top Pilot" packs, and were given to various people who I fly with and know for testing (Luke Bannister, Gary Kent, Paul Nurkkala) a few months even before that. From speaking to those who had tested them they found them amazing, so I was super stoked to get to try them myself. I will say beforehand that the review is a little subjective, I don't have the fancy test equipment that some do to test various stuff - so if you are looking for that kind of information this won't be the place for that (sorry!!). I do go into IR territory, abuse the packs a little, and really just discuss my general opinion on them. In future I'd like to get some proper test equipment, but as you can imagine deciding what to get, and buying it, all take time and money! So with that in mind, let's see what GensAce have to say about their own lipo. So we can see GensAce themselves are confirming that they are Top Pilot packs, and pretty much also much confirming that they are Graphene packs, so I know we're already in for a treat with their performance. 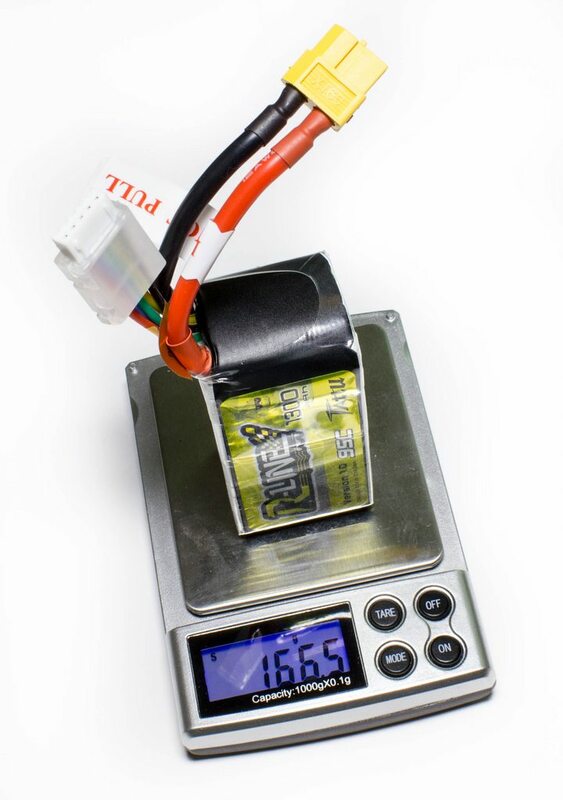 Lipo specs are generally grossly over-exaggerated, and 95C will be no different to that, but let's see what we get for our hard earned cash and let's see if they are worth the top dollar they command. So as we can see they are packaged well, with a box and bubblewrap inside. 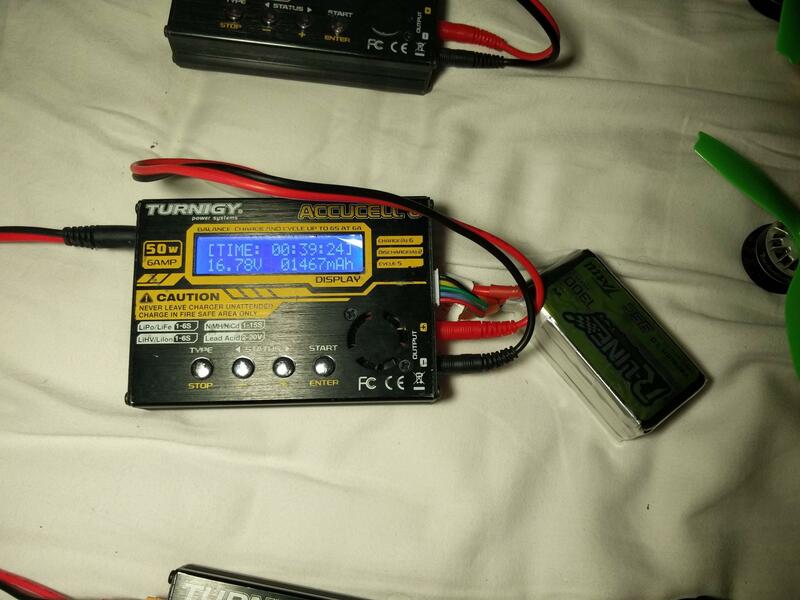 There's tape securing the XT60 to the lipo to prevent it from coming loose. 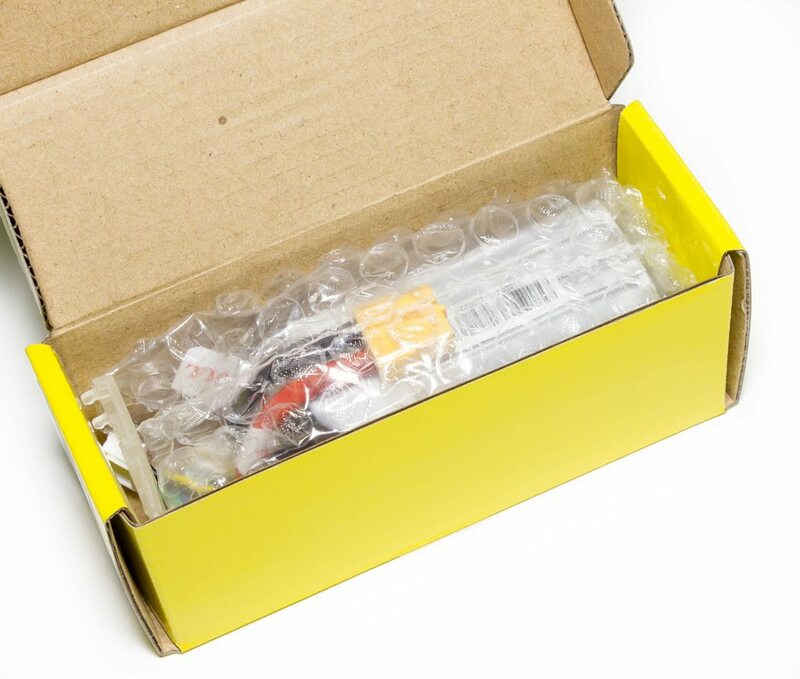 Inside the box is also a balance connector "protector". I'm a bit dubious of these, some people love them and others hate them. 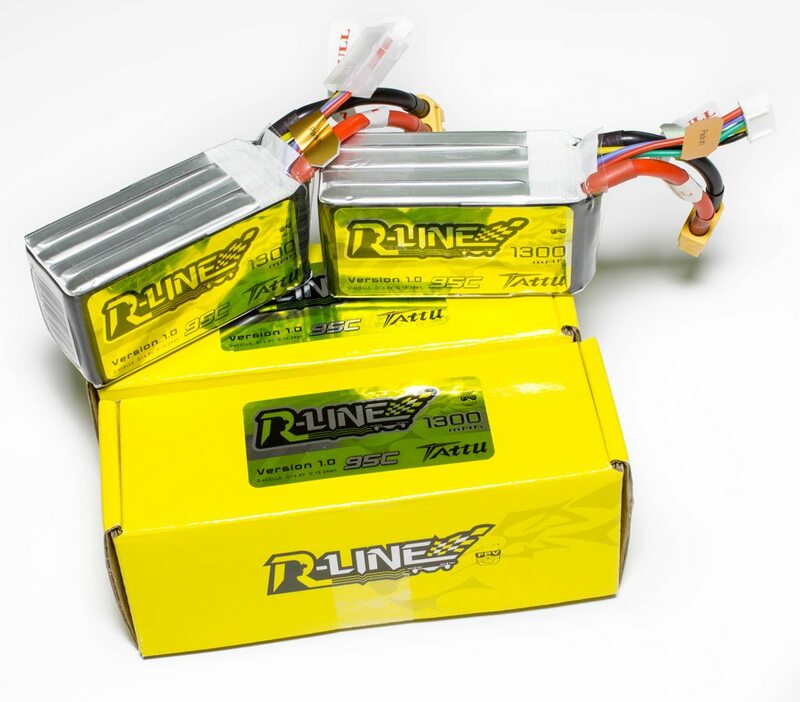 I'm not really on either camp but won't be using them because I don't for any other lipo I run, and in all honesty they tend to just get in the way as they make the balance connector too bulky. So with both of the packs out of the box what do we see? First off, a few things. As per the specs they feature 12 gauge power wires, which suggests they allow some serious amps to be drawn. The length of said cables is a good length, not too long and not too short. 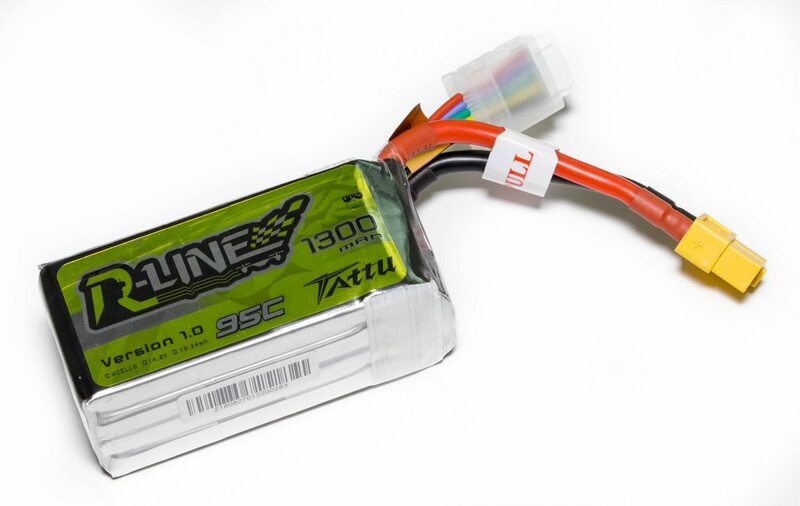 I've noticed a trend of lipo cable lengths increasing in some of the newer manufacturer lipos, and to be honest it's just annoying - unneeded weight that all matters when racing (imo). 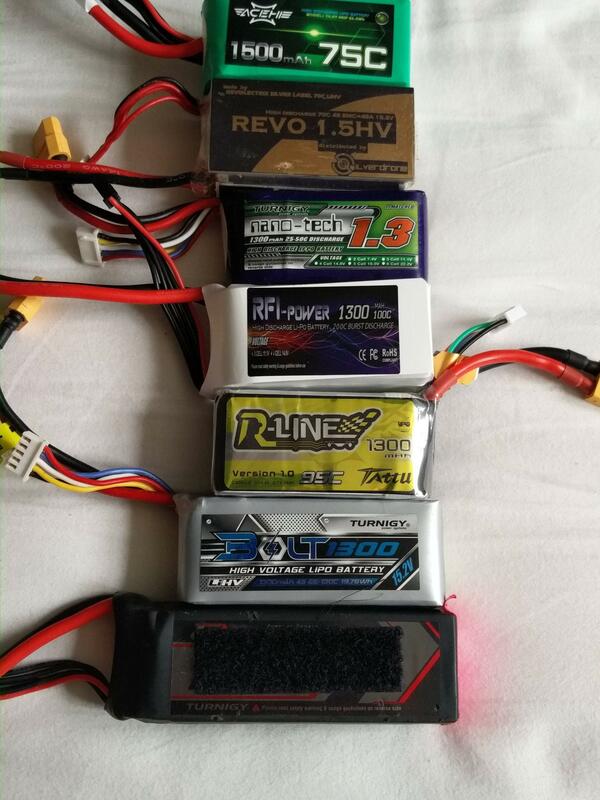 The packs themselves are also TINY - there's a picture further down comparing their sizes compared to my other lipos, but these are basically the same size as Turnigy Nano-Tech 1300mAh 4S 25-50C. 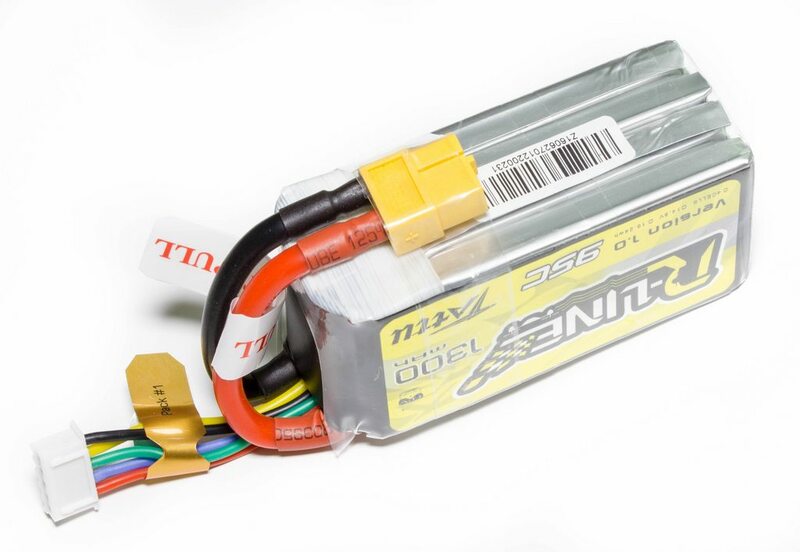 With that in mind, as you can imagine I'm a little dubious on power - larger C rating lipos tend to be bigger cells to cope with the amp draw, but this is not the case for these. Weighing in at just shy of 167 grams this pack is certainly a compact and efficient one, it must have some crazy energy density. 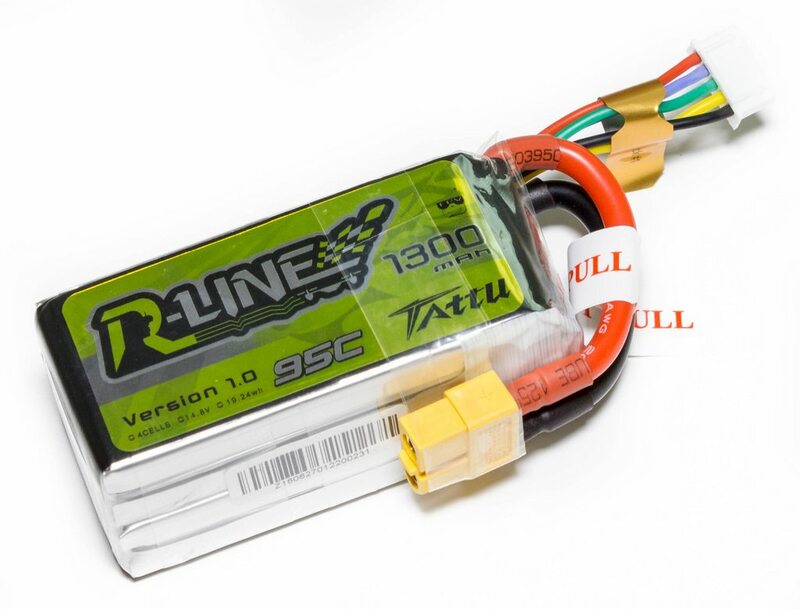 There's no visible G10 plates in the lipo protecting the cells, so this could be good or bad depending how you tend to fly (let's face it most of us crash regularly). This is really my only concern right now, how well the cells will hold up to abuse. The Graphenes in comparison (HobbyKing) are a fair bit heavier, but offer G10 plates both on the outside of the cells but I believe also between the cells, to really ensure that pack is as rigid as can be. Graphene itself is meant to be pretty brittle compared to the normal plates used in Lipos, so this may have an effect. As I mentioned earlier my testing will be relatively subjective due to lack of equipment, but I do have a good amount of lipos to compare with so I think that puts me in a good position. I am purely about racing at the moment when it comes to flying so each time I fly I setup my own course, and while I generally improve each pack, it does tail off, so I plan to use these lipos towards the end of my session when comparing to other to keep it as fair as possible. 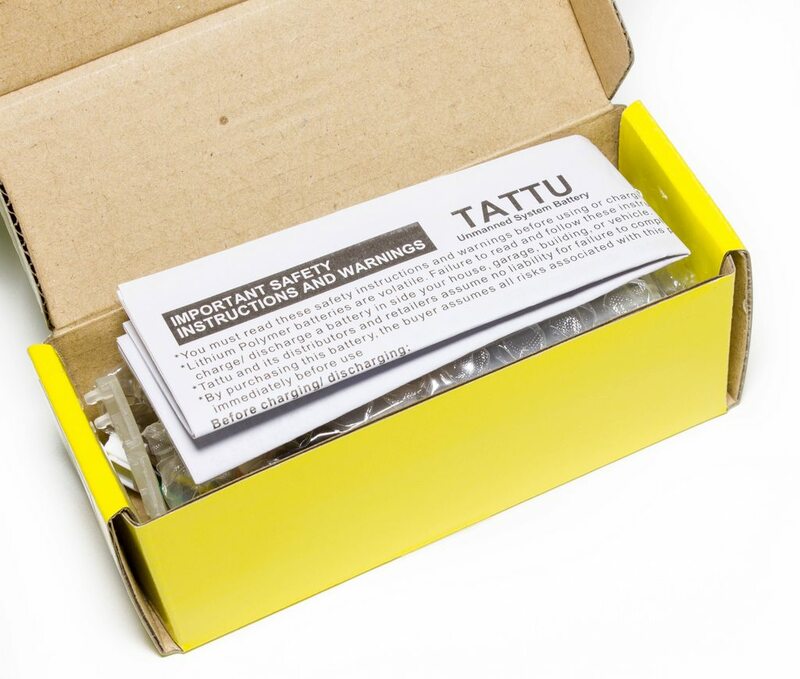 So the first thing I noticed straight away is Tattu seem to label the pack on the other side compared to every other brand going - so for this reason I've put the wires facing the other way. In terms of size, we can see it's essentially the smallest of the 1300's I have, comparing to the Bolt, Nano-Tech, RFI-Power and the other slightly larger 1500's. I will first off state I do not run a break-in process. I have tried and tested break-in methods on various lipos over the years, and I have found absolutely no difference to pack performance, IR, or anything else. Perhaps the new chemistry may change that, but from what I gather if anything it would be exactly the same. I still take the first flight a little easy, but only in the sense I don't have crazy punch-outs for the solid 2 minutes. 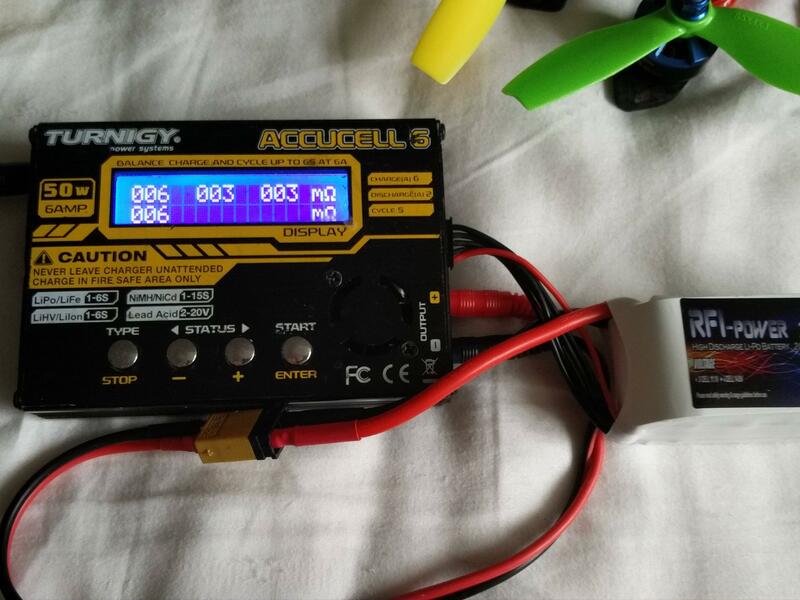 I managed to use them around 10-15 cycles each last week, and during one of my middle flights at a fun-fly event at LHC I forgot I was flying a 1300 with a smaller capacity (I tend to fly 1500 or 1800's), and so I actually drained it far more than I meant to and literally dropped out the sky. I immediately checked the cell voltage and they were around 2.9-3.0v each, so a little lower than I would normally discharge (3.75v), but even so, this would be a good test for how the stand up to their abuse. 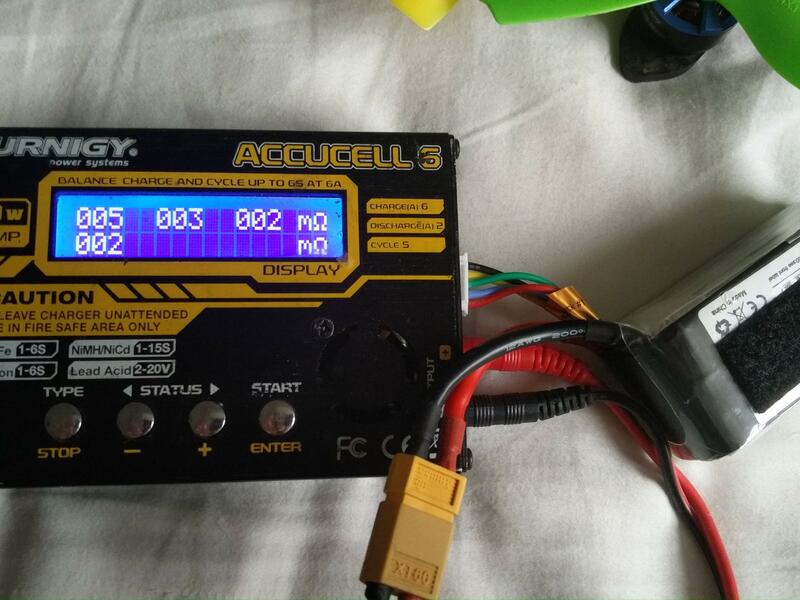 As you can see, charging the lipos back after being sat for a few hours meant I put a whopping 1467 mAh back into the lipo. This means that the 1300mAh genuinely gives you around 1300mAh if you leave around 20% in the pack as you should. Legit ratings are always nice so this was great. I also noticed no increase in IR, no extre heat heat and also no puffing - so it would seem they are up to withstanding the abuse a little bit too. Comparing their internal resistance to my other widely used packs we can see they do pretty damn good. They have essentially matched a 1500mAh at a super low internal resistance. The same charger was used to ensure the results were kept fair. From my first cycle to my last so far, they just have insane power. Having flown Revolectrix HV, Graphenes, and all the other hype train packs, I can without a doubt say that these are performing above and beyond the others. A few of us recently ditched Revolectrix - their cells are good but they don't last and are very sensitive to cell damage, combine that with the cost and the Graphenes seemed to be a good bet. We were a bit late to the Graphene hype train because in all honesty we didn't believe it, but since actually getting some they have been my primary packs. They're a little heavy, but provide solid and constant power throughout the pack until they rapidly drop off. 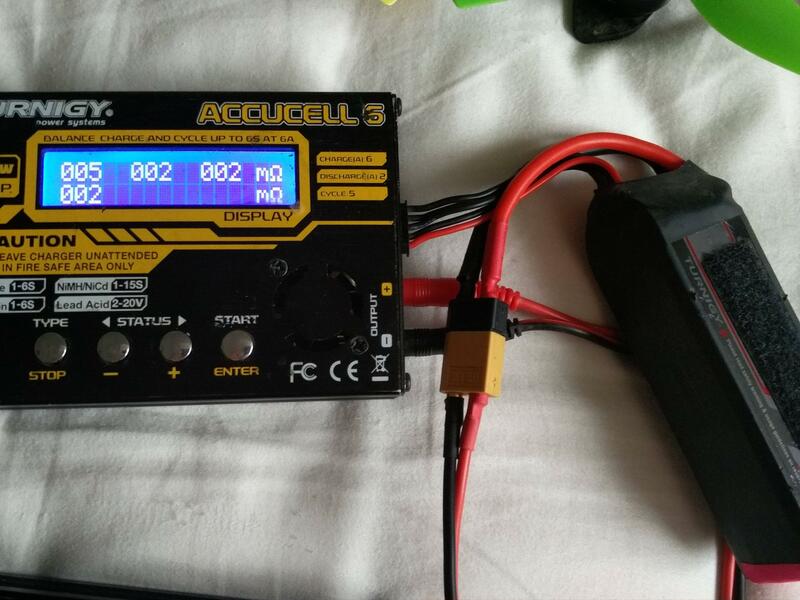 Compared to the Revo's this was a much better behaviour; the Revo's have tons of power at the start due to the HV charging (4.35v per cell), but quickly drop off and sag (but not as much as other normal lipos). So with that in mind, I was really comparing these to my Graphenes. 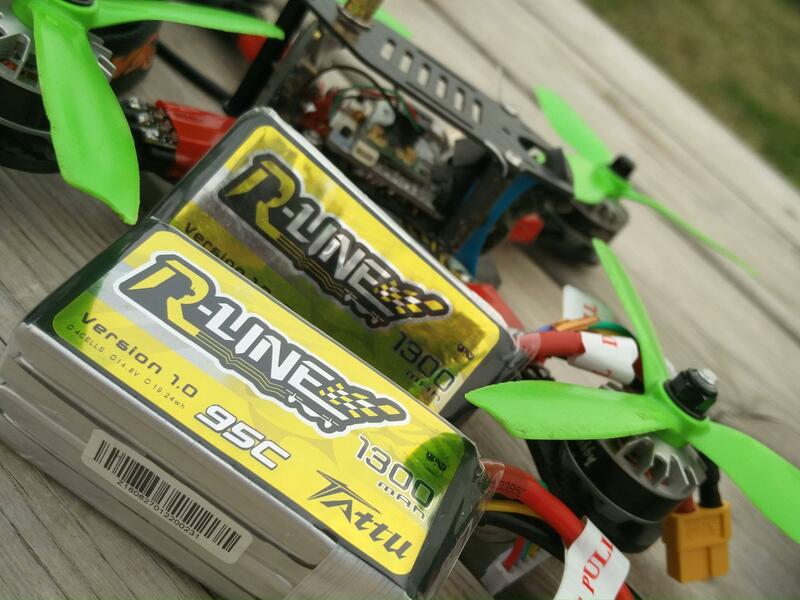 As mentioned above I run the 1500mAh Graphenes as they provide a good and lasting amount of power for racing most of the time. They are a little heavy, but the fact the power is still there after 30 seconds means it doesn't matter. Because of the extra capacity I was expecting them to perform not so good, but I'm amazed to say I think they performed better - and noticeably so! Flying the same quads back to back, you could hear the props spinning a drastically higher RPM and they were noticeably louder. There seemed to be no sag again compared to the Graphenes, and amazingly they still came down stone cold considering the heavy amp draws I had pulled on them in my 1:30 to 2 minute flights. Considering their performance vs weight and the fact they are smaller cells so should in theory have less amp draw (if they are "as good"), then essentially these are now the new "goto" packs. For me, 1300mAh isn't quite race-worthy; they don't have the capacity needed for most tracks. However, I know they are bringing out 1550mAh packs very soon (end of September), and I think these will be my new go-to packs! I am seriously impressed with whatever magic they have done to these, they're a little more expensive than the Graphenes, but if you are looking for the edge above your competitor then this may be one of those options.